Writer/Director Kellie Madison To Direct 'The Wall" for Dolphin Entertainment!! Updated Feb 1st 2019: EXCLUSIVE! Kellie Madison had this to say exclusively to Dan's Movie Report The Wall is a horror film." "We are still planning for 'The Gate' feature after this film." "Trust me it (The Gate) will be better for it. Synopsis: The Wall tells the supernatural story of a young woman who is forced to unlock memories of a traumatic event after removing a mysterious painting from the wall of her rented apartment. That is right Kellie Madison who directed "The Gate" short film and "The Tank" has her script sold to Dolphin Entertainment and Producer Tom Ortenburg will Co-Produce through his company Briarcliff Entertainment. 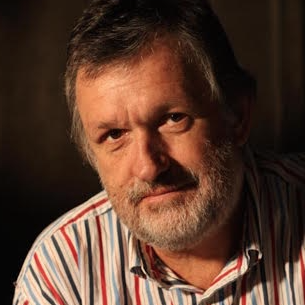 Mr. Ortenburg was instrumental in Open Road Pictures, the company that released the Oscar Winning "Monster's Ball"! As a writer and lover of indie films, this is a significant step to female storytelling. Kellie has a stick to my guns attitude and is very steadfast in her ideas. 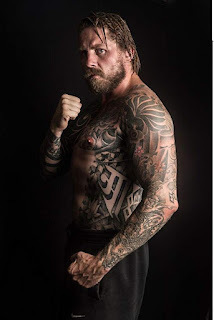 Action Actor/Wrestler Greg Burridge Spotlight (C) 2019 Dan's Movie Report!! Greetings valued Dan's Movie Report readers, once again a new demo reel has come to my attention. I follow wrestling, yet when I first saw Greg Burridge on screen in the Ross Boyask film Salvation, I was impressed by his skill in front of the camera as an actor as well as in action. Greg has style, is a hard worker and ready for a good tussle at any time! 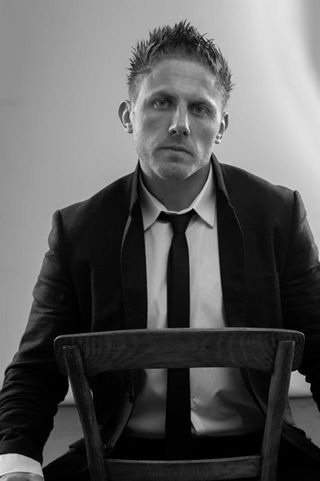 Get ready as he recently wrapped up on the new Ross Boyask film Vengeance 2, and the new Jesse V. Johnson / Scott Adkins film Avengement!! Color me black and blue, looking for more in 2019 from Greg, until then check out his great new reel. Watch for an interview later in the year closer to the release date of those films!! As always stay locked in to the only indie website that never shares news, Dan's Movie Report!! New 2019 full length Reel!!!! 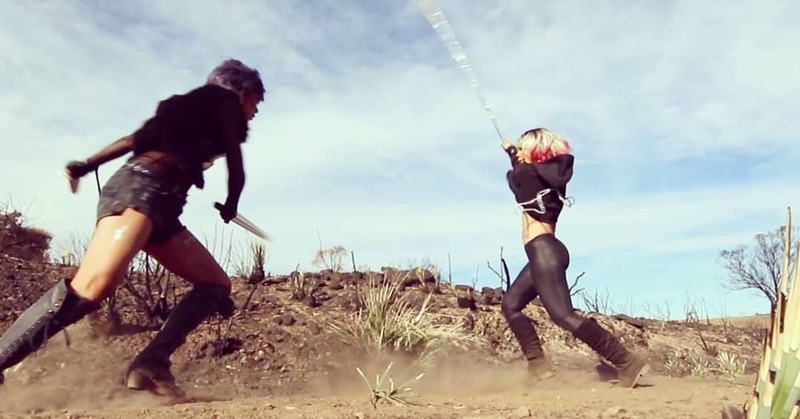 On February 3rd he is hosting a wrestling cinematic fight workshop, this is a great idea as it is bringing the gap between wrestling action and on screen choreography. If you live in the U.K. Or for that matter in Europe, I would be sure to make plans to attend. Greg has this to say: This will be the last workshop before we go into pre production on our next action film. Newcomers are welcome alongside people that attended the first or second workshop. just a few wrestlers who thought outside the box and bridged into the world of movies. It has been my belief for a long time that pro wrestlers make great stunt performers I'm not saying we are the best, but we certainly can offer something different. Being a pro wrestler that has moved into the movie industry, I realized that knowing the art of wrestling is much more than performing your art within the squared circle. The true artist who can think outside the box, will understand that they can take the skill we have learned and with just a few altercations can be adapted to on screen action, and take there career in another direction or use it as a tool to further there wrestling career. This workshop will focus on taking what we already know about pro wrestling and learning some valuable skills of screen fighting to make a hybrid style of action that only a pro wrestler can deliver. So if you are already a established screen fighter or have no knowledge of wrestling then this probably isn't for you. But if you are already a pro wrestler, trainee or have experience in wrestling then please come along. This workshop will also double as a audition/ try out for my stunt team for my second feature, (the first being LONDON RAMPAGE starring WILL OSPREAY ) that will begin production late December 2018. We will also be joined by film producer Joe Karimi , who has produced several WWE studio movies. Greetings valued Dan's Movie Report readers, once again another exclusive interview! Here we go travelling all the way EAST to Indonesia and chatting with the director of the new HBO Asia series Grisse!! Tony Tilse is quite an engaging gentleman, as he also worked on the Miss Fischer's Murder Mystery show and Ash Vs the Evil Dead! After interviewing Kelly Tandiono who worked on the Grisse, I know I had to get in behind the action, saddle up and prepare, time to tackle some western action with Tony! Very cool behind the scenes video from Grisse. This video has further information about the cast as well! DT: How were you approached to direct Grisse? 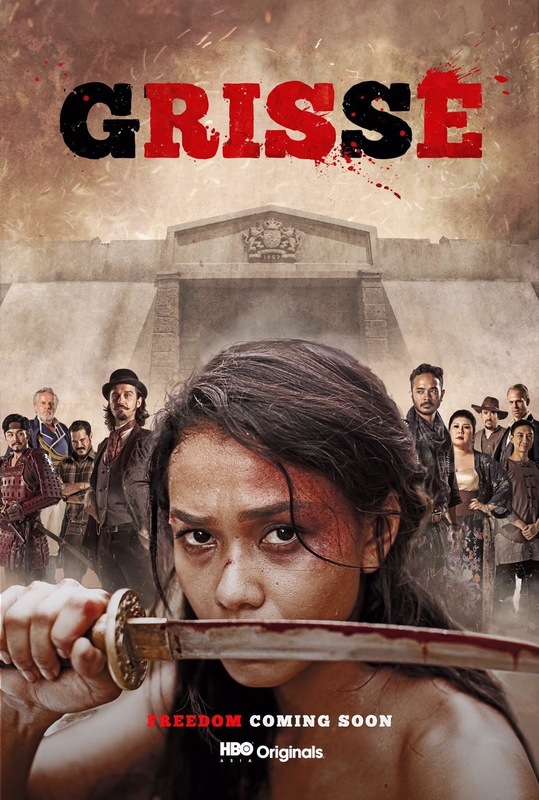 TT: I had worked with HBO Asia and Infinite Studios on two previous projects “Serangoon Road” and “Grace” so was delighted to be ask back to do this "Nasi Goreng" Western. Also I have found working in the region very inspiring and the crews are fantastic. DT: On IMDB it says you directed one episode and Mike W. directed unknown episodes, was the series a collaboration, in Wu assassins several people directed the series with Roel Reine directing two of the episodes I think. TT: Mike Wiluan was the show runner and I had worked with Mike before when he was producing. I ending up directing 6 episodes, with Jiyuan Ler from Singapore directing Ep 6, and Mike directing the finale. Grisse was very much a collaboration, as everyone pushed hard to make it a success. DT: As a director, describe your style is it up close to the actors or pulling back and speaking loudly the instructions? DT: I noticed in the show trailers the sets looked very elaborate, were they all build for Grisse or existing buildings? TT: All filmed on the backlot at the fantastic Infinite Studios at Batam, Indonesia, with a lot of the street having been built but also a few have been repurposed from existing sets. DT: Do you like to get feedback from the actors, or is it more I have an idea in my head and I need to explain my idea to them? I notice some directors really like to direct, to dictate pace and dialogue, others like the actors to get into the character and collaborate on direction. TT: It’s a bit of both - It’s important that the actors feel free to bring their experience and character into the piece and I’m open to ideas that I may not have thought of, but still need to keep the overall vision. DT: How has the series been received so far? I am assuming the final episode of season one has aired, any discussions of season 2 or was this a one off mini series? TT: We have had a great response to the series and a world wide release this year. Would be delighted for a 2nd season. DT: Finally Tony chat about some of your hobbies and then discuss any new projects you have in the works? TT: I’m currently completing a feature film “Miss Fisher and the Crypt of Tears” as well as developing on another Asian based horror series. DT: Again thanks so much, if there is a final thought you would like to add or advice for aspiring film directors, please let my audience know. TT: Watch lots of movies, understand what you're most passionate about. You don’t have to know all the answers, find your collaborators. Always be proud of your movie.